The Coahoma Bulldogettes lost to the Snyder Lady Tigers Tuesday night in Snyder. 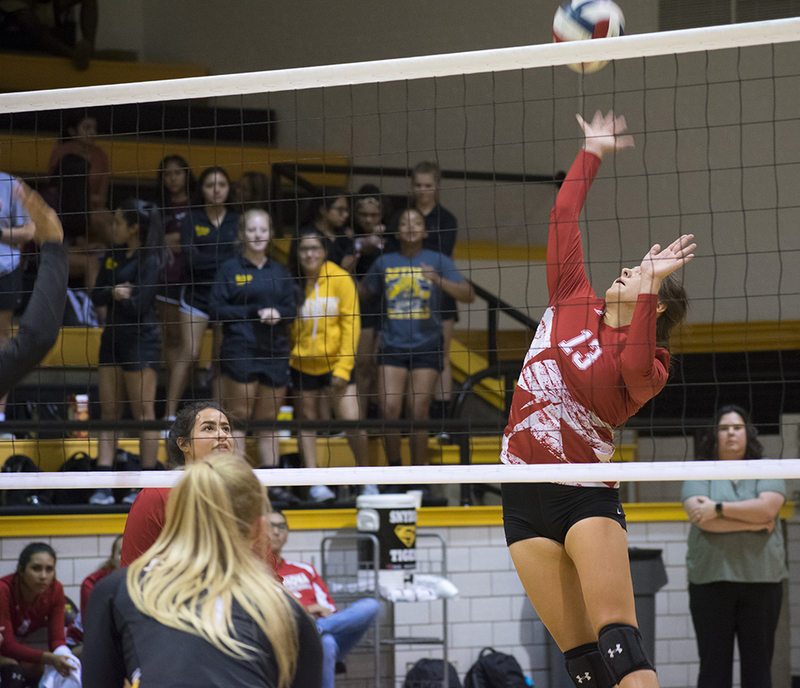 The Class 4A Lady Tigers earned the victory in three sets 16-25, 8-25, 16-25. Paige Atkins led the Bulldogettes on offense with 4 kills. Julia Mashburn had 6 assists for the evening. Caitlyn Corley stood out for her performance on defense pulling off several key saves for the Bulldogettes. The Bulldogettes will be back in action this Friday and Saturday. The varsity girls will compete in three games on Friday in the 2018 Showdown in Bronte:10 a.m., Bronte vs Coahoma; 3 p.m., Fort Davis vs Coahoma; 5 p.m. Coahoma vs Mount Vernon NS. Both JV teams will play in Grape Creek. Kills: Paige Atkins, 4; Ashley Romero, 1; MaKynlee Overton, 2; Caitlyn Corley, 2.